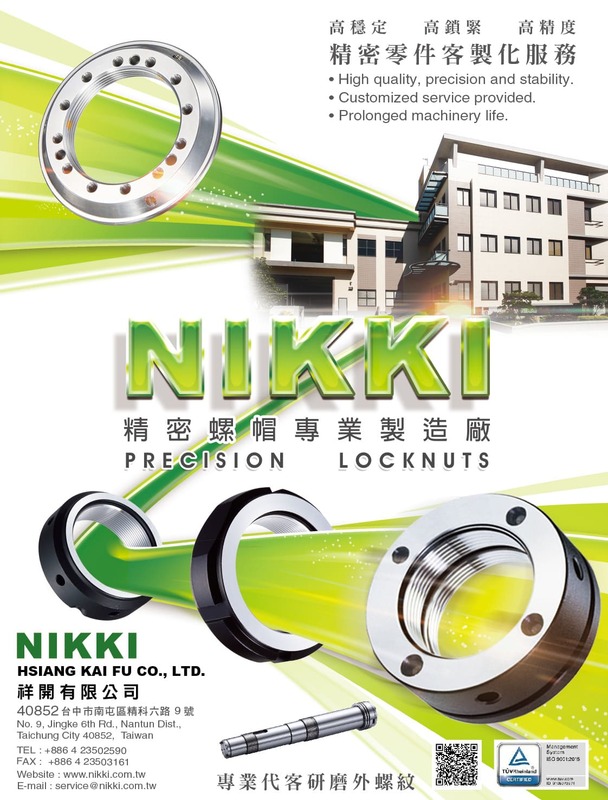 We're an experienced supplier and professional exporter of various precision locknuts, factory locates in Taichung City Precision Machinery Innovation Technology Park . Our team is always providing best service support to our customers. Now, we're exporting our NIKKI brand and OEM/ODM products to USA, Japan, Italy, Germany, India, Australia, China and other countries. and obtain world class quality with consistent quality.